Note: Java Spice has closed down. 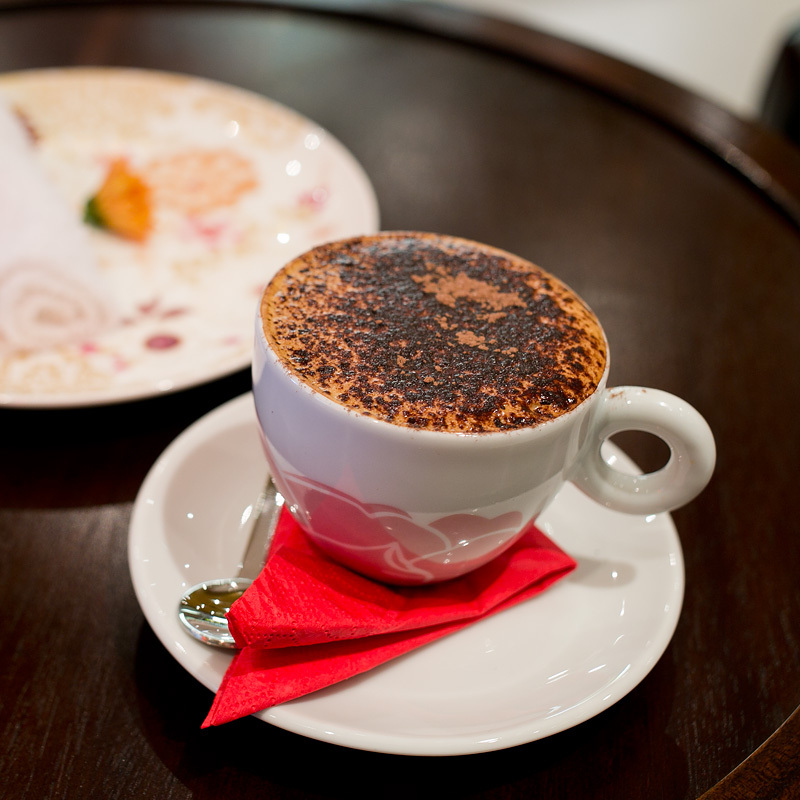 Coffee in Darwin just got a whole lot fancier thanks to the team at Java Spice on Mitchell Street. One peek through the window and you'll see why you'll want to have your coffee have-here instead of take-away. Decked out from floor to ceiling with lavish Asian inspired decor and elegant crockery to boot, this surely must be the nicest place in Darwin to sit down for a cuppa. 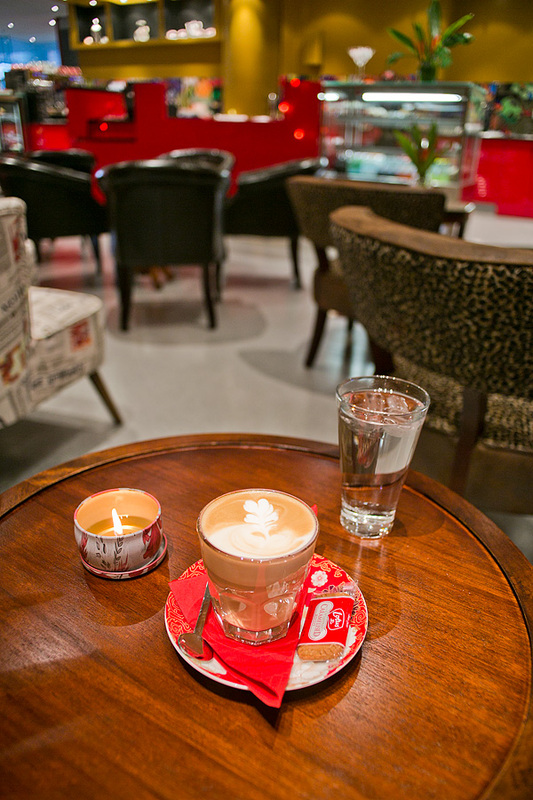 Not a cafe, this is a coffee lounge. Sit down and have your order taken, freshen yourself up with a complimentary towlette and ice water while you wait. Read a magazine or browse the internet on your phone if you prefer, either way your bum will be comfy on the cushion beneath. Appropriate music plays in the background to further enhance the mood. I don't mind waiting at all, not that the wait is long of course. The polite staff are quick to service as well as prompt in clearing tables for the next customer. So far so good, but what of the coffee? With not one but two coffee machines and various gadgets that look like they belong inside the Large Hadron Collider, the odds are in your favour. There's a specialist barrista behind the counter working his magic. Quiet, efficient, clean and meticulous, I fear if anybody else were to lay hands on his machinery they'd quickly lose them. The coffee has been consistent on the occasions that I've visited. Nicely done foam, smooth, warm and well presented. It could be perhaps a touch stronger, coming from a person who doesn't like it too strong, but overall a very nice cup of coffee. Anybody can make a coffee, but not everyone can make a good one. Thankfully you'll find the latter on offer at Java Spice. 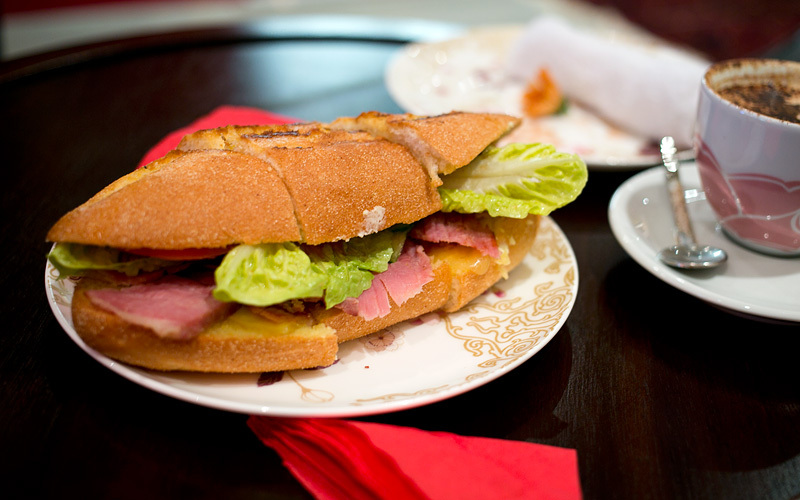 Food consists of sandwiches, rolls, cakes and other similar items. They have a money back guarantee on their toastie, an offer I'll put to the test soon enough. I also have it on good authority that the croissant, fruit toast and apple cake are all to die for. The spiced corned beef roll I've had twice now is quite nice, make sure you have it toasted for that ultimate soft yet crunchy texture hit. My personal preference would be to substitute the hot English mustard for something milder though. 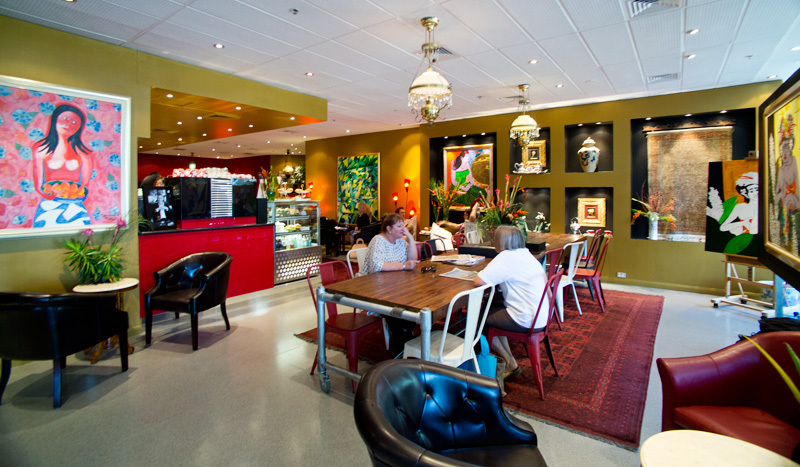 Who would have thought Darwin could be home to such an elegant coffee lounge? Well you better believe it because after only a very short time, the team at Java Spice are setting tongues positively wagging. Even if the coffee was poor (which it isn't) I reckon I'd still come here just to take a break from work and just chill out. Now if only my office wasn't so far away!